Nearly a dozen House GOP freshmen are urging their colleagues to avoid a government shutdown next week and pass a short-term spending bill a week before federal agencies run out of money. In a “Dear Colleague” letter, eleven new Republicans urged their fellow GOP lawmakers to pass a continuing resolution by Sept. 30 – and not hold any stopgap spending bill hostage over funding for Planned Parenthood. The small group, part of the centrist Republican Main Street Partnership, is seeking to be a counter to the hardline House Freedom Caucus, whose members are pressuring leadership to defund the women’s health care organization, even if it means shuttering government agencies. Standard & Poor’s estimated that the 2013 shutdown cost the U.S. economy $24 billion. The full centrist group actually comprises more than 65 Republicans, and a source familiar with the group speculated that most — if not all — of those members would likely back Speaker John Boehner (R-Ohio) on a “clean” CR without the Planned Parenthood rider. The new members-only letter, however, was aimed specifically at debunking the notion that “young agitators” are pushing the House to the right, the source said. Signatories include: Reps. Ryan Costello (Penn. ), Elise Stefanik (N.Y.), Mimi Walters (Calif.), Daniel Donovan (N.Y.), John Katko (N.Y.), Carlos Curbelo (Fla.), Amata Radewagen (American Samoa), Cresent Hardy (N.V.), Bruce Poliquin (Maine), Martha McSally (Ariz.) and Tom MacArther (N.J.). 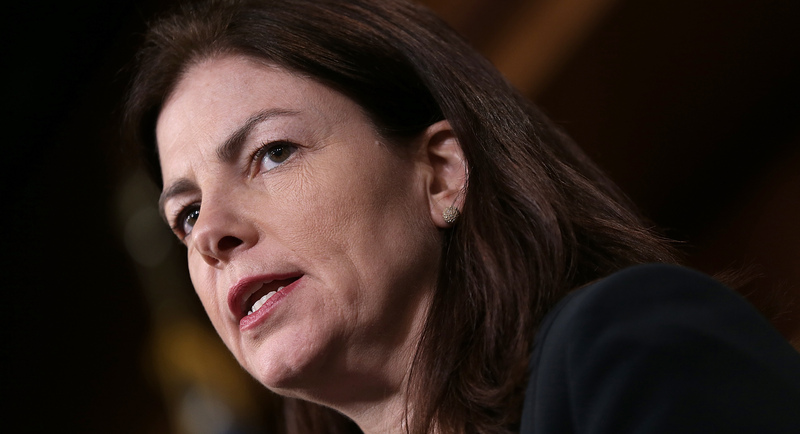 With the Senate set to vote Thursday on a CR defunding Planned Parenthood, Sen. Kelly Ayotte (R-N.H.), meanwhile, took to the floor to urge immediate passage of a spending bill to avoid a shutdown. The chorus of moderate GOP voices comes just a day before Senate Democrats are expected to block a short-term spending bill that strips Planned Parenthood of any access to federal funds. Senate Majority Leader Mitch McConnell (R-Ky.), also eager to avoid a shutdown, is expected to call up a “clean” funding bill if Democrats succeed in filibustering the first bill. House GOP leadership on Thursday will powwow to plot their next moves. Boehner has tried to offer alternative proposals on defunding Planned Parenthood to his most hardline conservatives, although some are warning they will try to oust Boehner unless he’s able to defund the group.